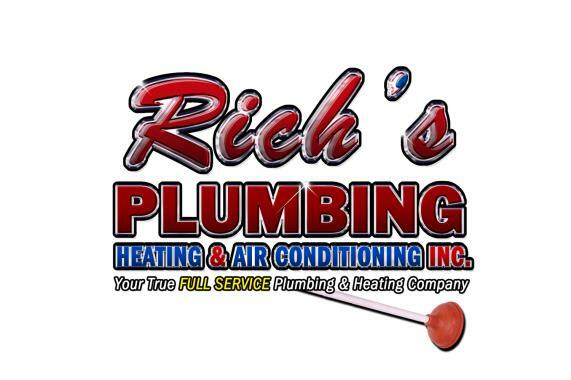 I called rich’s Plumbing when my old air conditioner finally went. I shopped around and TOM of rich’s Plumbing listen to my needs, inspected the old and gave me the best price on a complete installation. Everything was cleaned up better than when they started . My wife and I couldn’t be cooler or happier. TOM IS AMAZING! And his crew is amazing too We love them! Money well spent. Just had my shower faucet fixed by Thomas. Very trustworthy and is upfront on what the issue is and how to address it. Thank you so much for the good service and honesty. Highly recommended!! And keep up the good work!! Called Rich’s after my AC stopped working. They were able to come out within a few hours to look at the system and were able to fix it by replacing a piece. Tom and Kevin worked quickly and were very knowledgeable about the system in my house. They helped explain the issue to me very clearly (since I don’t know anything about HVAC!). Since my system is old, Tom also explained the process to upgrade the system if and when I would need to. He even gave me his contact information in case my husband and I wanted to discuss it further. Contacted Rich Plumbing on Tuesday and they were able to schedule me in the same week to replace toilet and tank. Tom and Dan were awesome. Will definitely use them for other projects. Very qualified person and service was great!